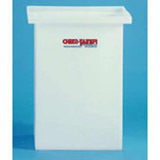 These Plastic Bulk Tanks have a vertical, flat bottom construction that will provide you with a storage tank that is both reliable and easy to install. Made from linear polyethylene, these plastic bulk tanks have a high resistance to many chemicals, making them versatile enough to be used in different applications. 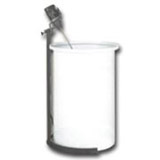 Additionally, when manufacturing these tanks, only one seamless piece of polyethylene is used. This removes problematic seams that could potentially be the source of cracking and leaking. This provides you with a sturdy reliable tank that is less likely to crack or wear down over time. Depending on the weight and type of chemical that you are storing, these plastic bulk tanks come in both an industrial and commercial series.